Once again Lewisham will be taking part in the 3Rivers Clean Up. 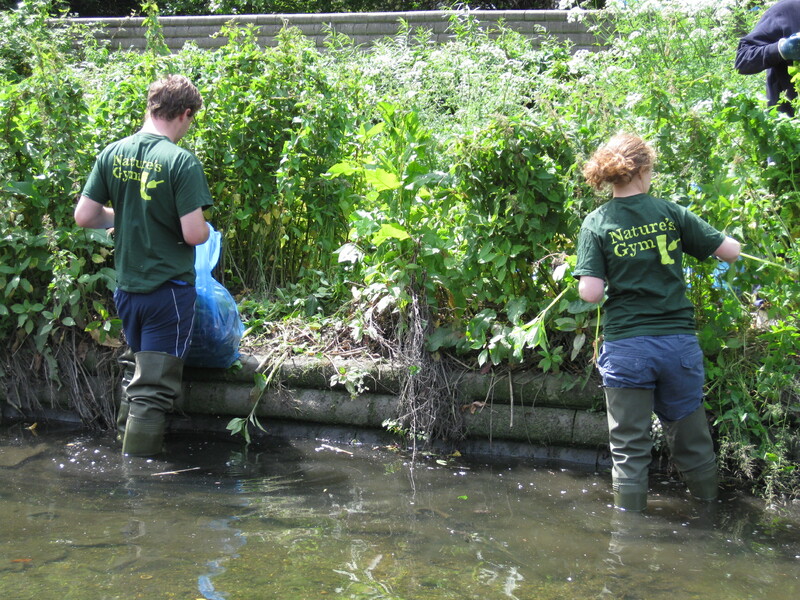 This is a three week long series of volunteering events on the Rivers Ravensbourne, Poole and Quaggy that flow through Lewisham, Greenwich and Bromley. Now in its fourth year, this unique collaboration between a number of key organisations in the area offers the chance for everyone to improve their local environment and have fun doing it. Last year the 3Rivers Clean Up engaged a total of 500 volunteers who participated in 17 public events, 4 school events and 9 corporate days. A total of 1542 work hours were spent cleaning up and managing the river network. You can see pictures from previous years’ events here. To see how Nature’s Gym helped please visit our blog pages here and here! Take a look at the events calendar to find out details of event locations and contact details of the event organisers. All equipment is provided. Just wear old clothes that you don’t mind getting a bit mucky. Events are free but some require pre-booking – therefore please contact the event organiser before attending a session. If there is heavy rain an event may be cancelled at short notice due to the risk of flash flooding. Please check with the event organiser if the weather is bad.